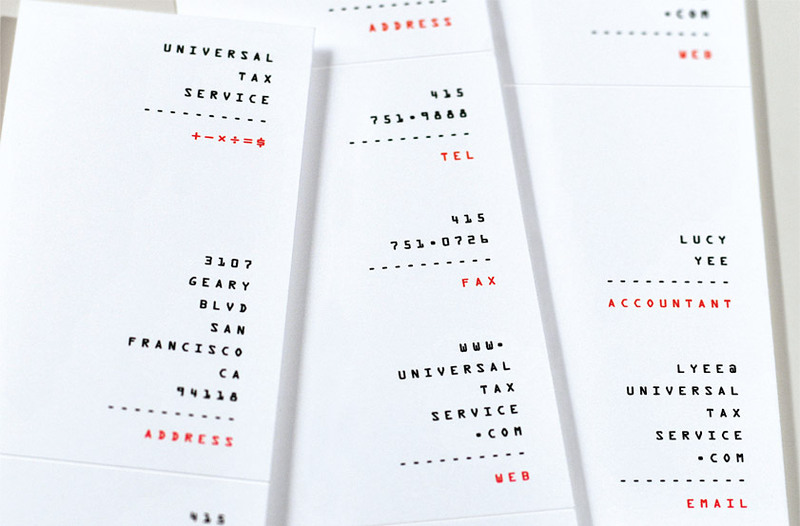 Universal Tax Service is a full-service accounting firm offering bookkeeping, payroll services and income tax preparation. Our solution uses familiar arithmetic symbols to express the “universal” attributes of the company’s accounting services and clients served. 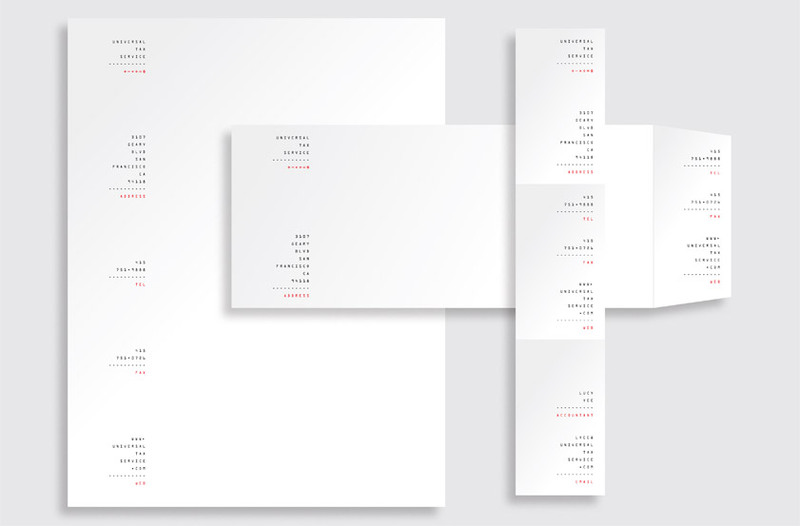 The stationery’s OCR typography, flush right layout, and vertical format suggest an adding machine tape, conveying the firm’s commitment to organization, precision and accuracy. The unique typographic system uses the heading of each block of information as a sum total, highlighted in red. Copyright © 2015 Gee + Chung Design.